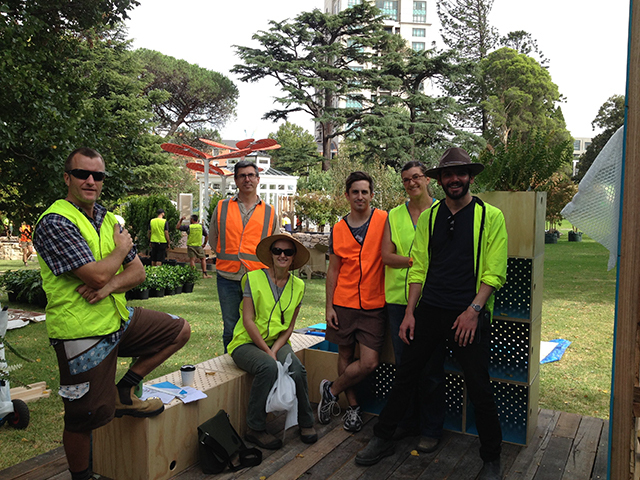 The Victorian executive of the Australian Institute for Landscape Designers and Managers, (AILDM) asked a group of designers to present ideas for a Garden for the Melbourne International Flower and Garden Show for 2014. 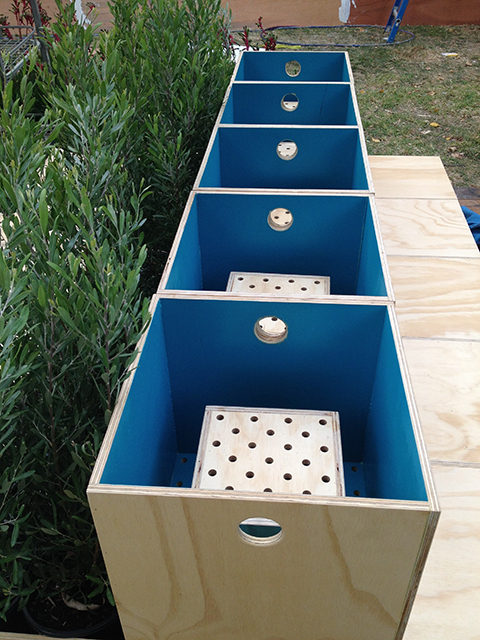 The winning design team of Meg Geary, Heather Hesterman, Anna Murphy and Hamish Williamson created a changeable garden with modules that can be moved, stacked, turned upside down and has multiple configurations and functions. 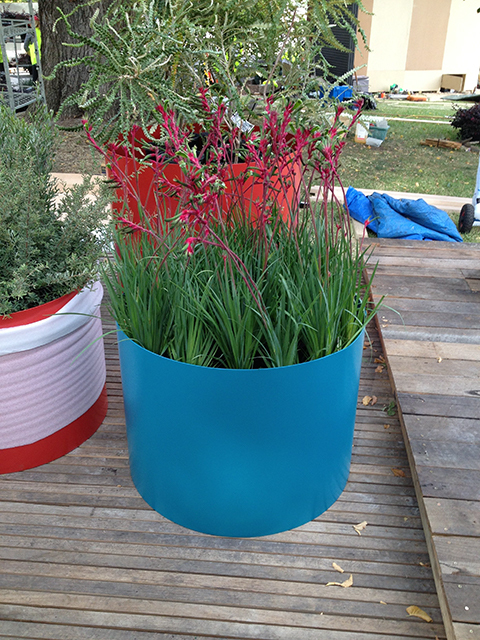 The design team created a modular garden that celebrates small spaces. As our lives and cities become more urbanized, open space and green spaces will be at a premium. Rooftop gardens, court-yards and shared open spaces with neighbours may become the norm. 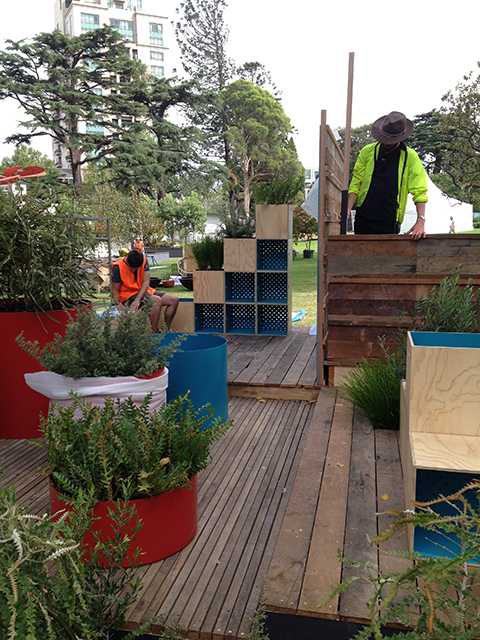 Using the same crates, plants, screens and cylinders the public will see moveable designs. The place. grow. 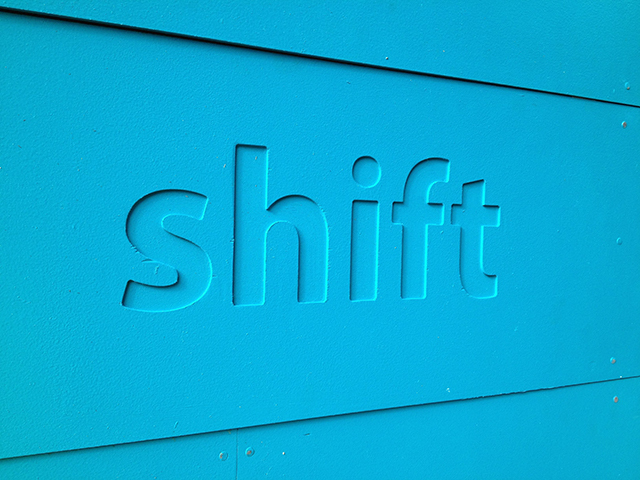 shift garden will feature 4 different designers over 26-30 March 2014. Emphasising good design principles, this garden illustrates the skills that landscape designers can bring to any landscape project. 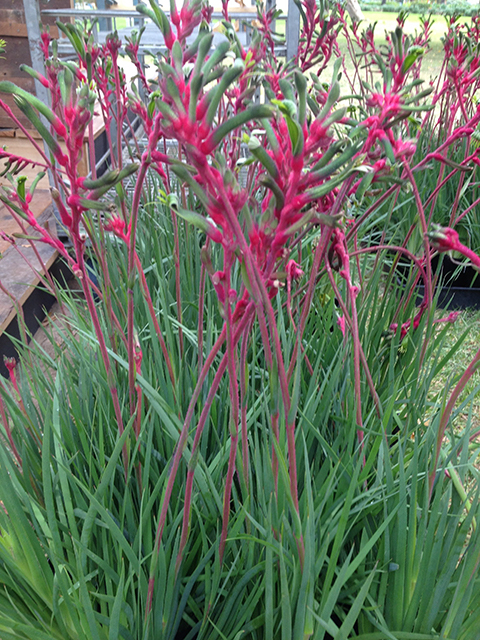 Australian natives are utilized exclusively in this garden reflecting AILDM’s national profile and highlighting their interesting texture, colour and form. 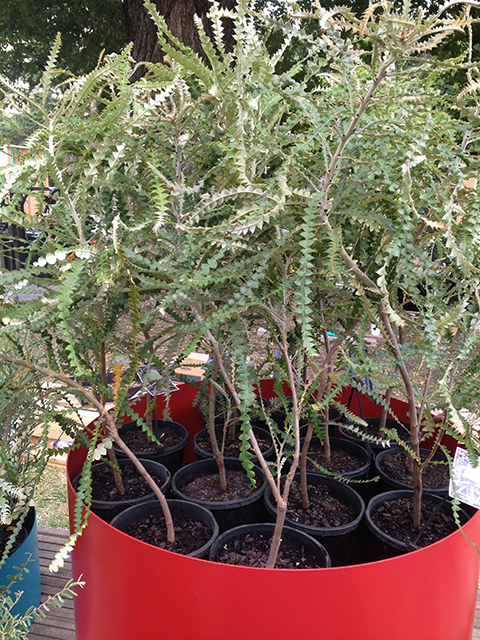 The species used are hardy and suited to an Australian climate. 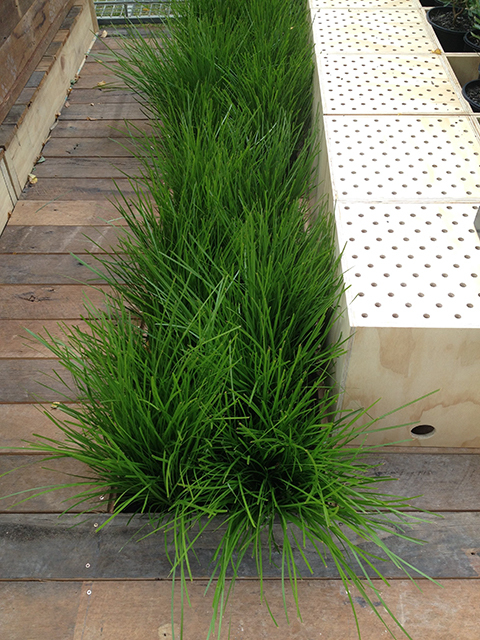 Reclaimed timber has been used for the decking and on the screens façade. All the items have been locally sourced and will be recycled or returned to the supplier, to minimize the carbon footprint. This is a sustainably designed garden. Logo designed by the talented Dani Cukon. 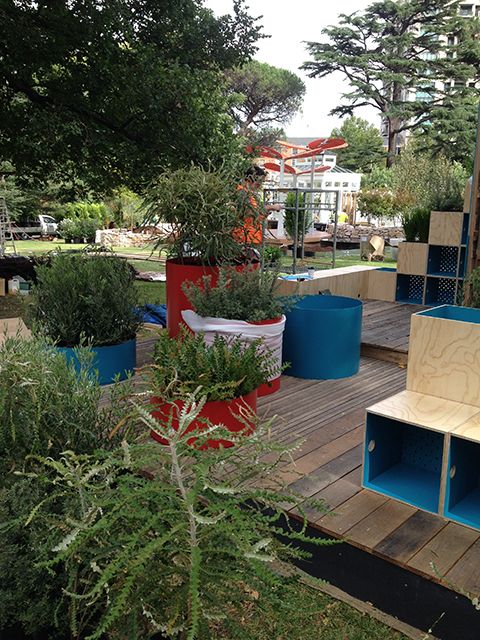 Here’s some previews of the set up and the moveable units taken Friday 21 March 2014 at MIFGS, Royal Exhibition Gardens Melbourne.